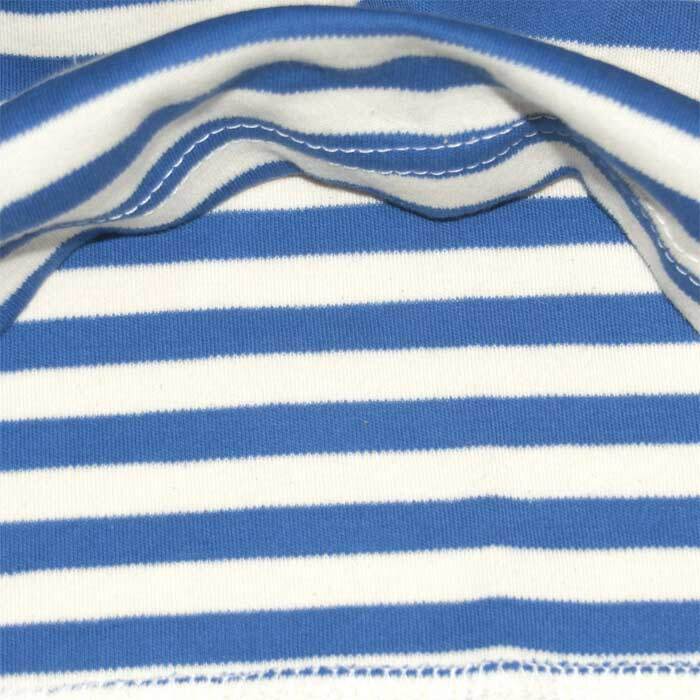 Telnyashka VDV Tank Top is an authentic blue striped telnyashka top. 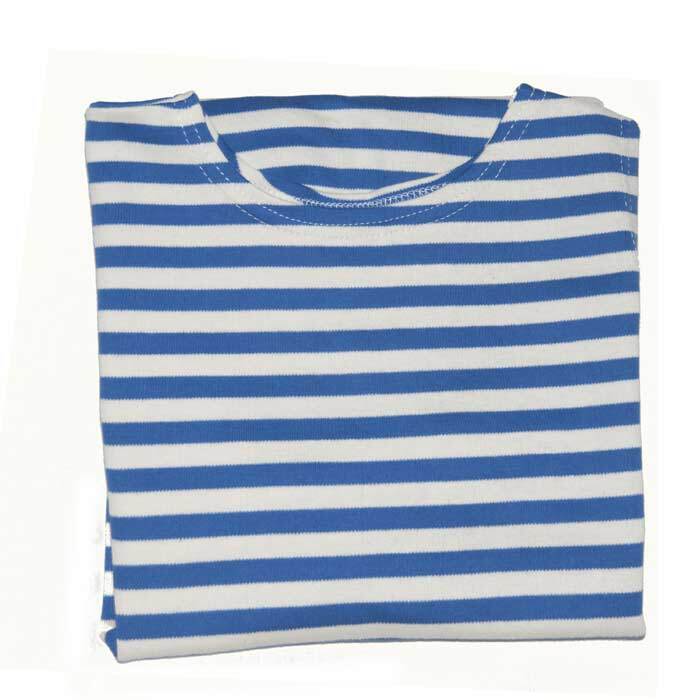 Literally telnyashhka means "body shirt" and indeed it is very comfortable as it is made of very soft 100% natural cotton fabric with density 210 g/sq.m. VDV (Vozdushno-Desantnye Vojska) are special Russian military troops - Russian Airborne Troops and they are considered to be elite troops. 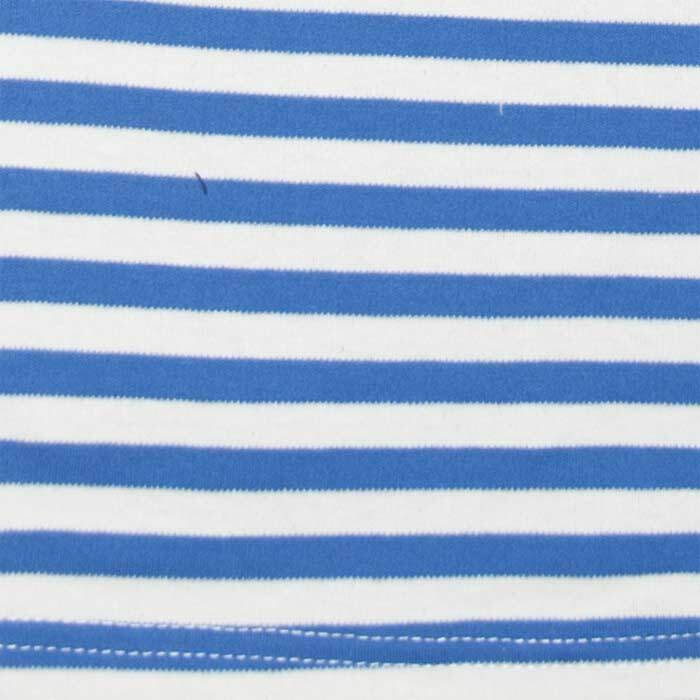 The blue strips mean blue sky, the telnyashka style means that soldiers can land not only on ground but into water as well. VDV soldier started to wear this telnyashka in 1969. 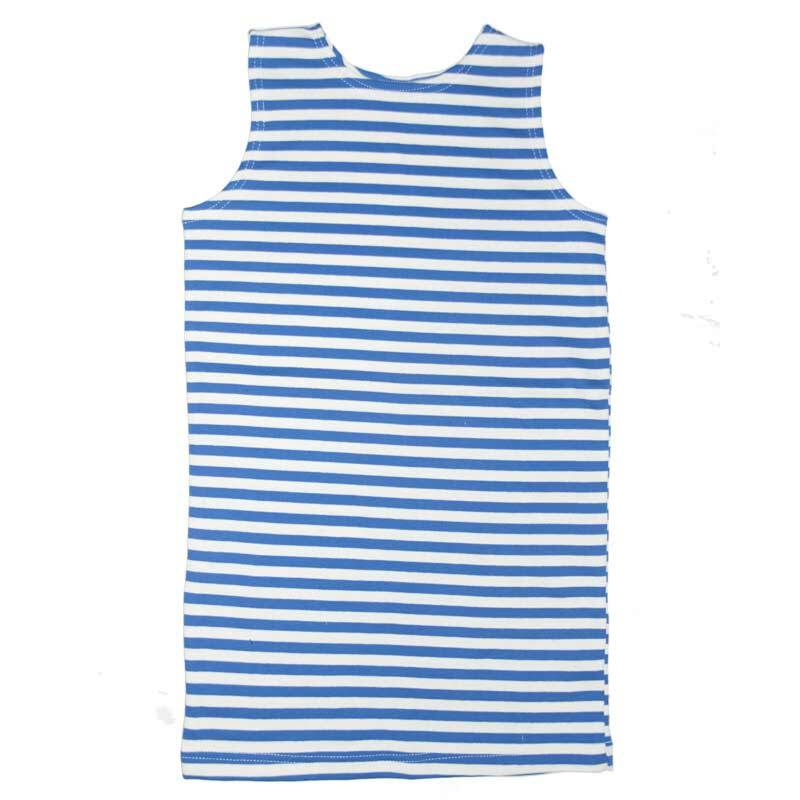 This telnyashka top is ORIGINAL, it is made starting from weaving the fabric till sewing the ready product in accordance with military state standards (GOST 25904-83). 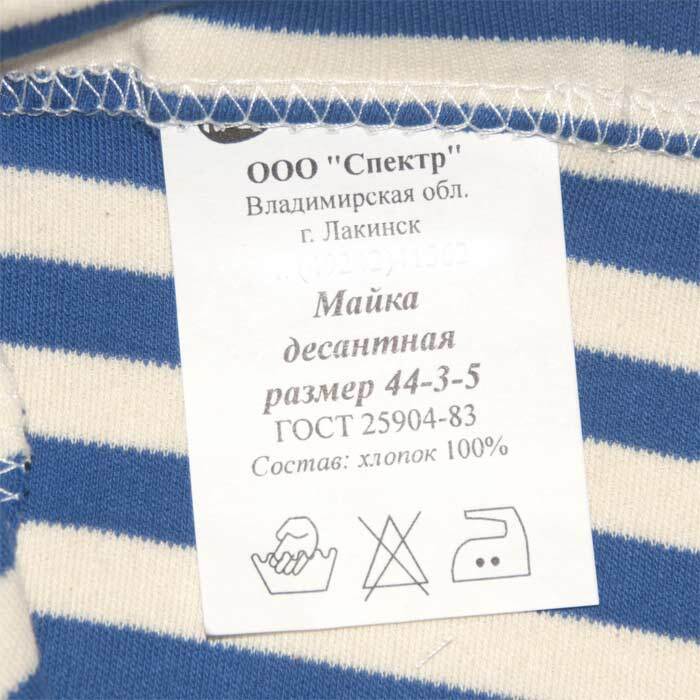 The size of telnyashka is fixed in two different size systems - in Russian and international, they are separated by slash "/", for instance 50/L. Size in numeric value means half of chest circumference. Size in letters is the international system of sizes of T-shirts.